We had to connect in San Francisco on our way to Vegas from Maui so we didn’t land in Vegas until midnight. We are staying at Elara which is part of Planet Hollywood. 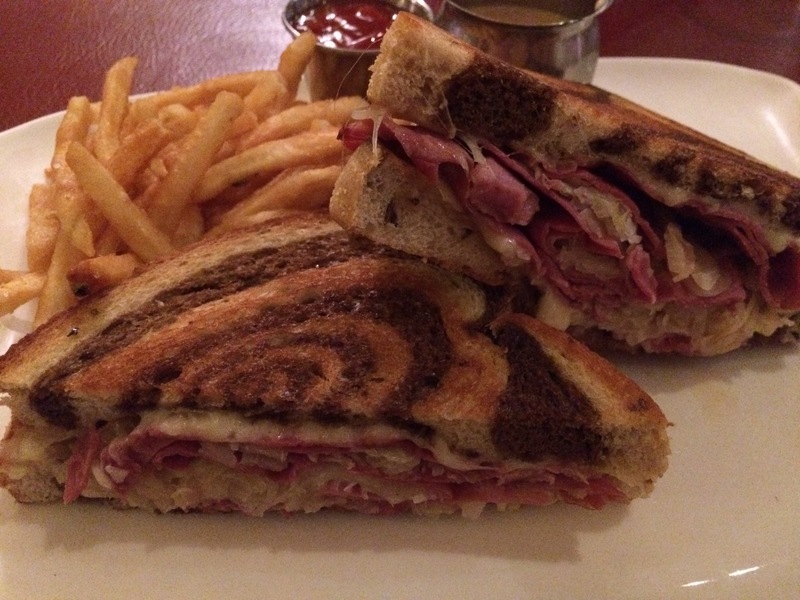 They have free laundry service and had a lot of laundry to do when we got there, so we put a load in then went to Planet Dallies to share our staple first meal in Vegas, the Rueben, so good! By the time our laundry was washed and dried we didn’t get to sleep till close to 5am, so we slept in till noon. For breakfast, well it was almost 3pm by the time we got there so brunch more like it, we went to Mr Mama’s. We wanted to try it last time we were here and it’s ranked high on trip advisor. The owner greeted us when we got there and was so friendly! It was his birthday and he insisted on us having a piece of his birthday cake which was really nice. 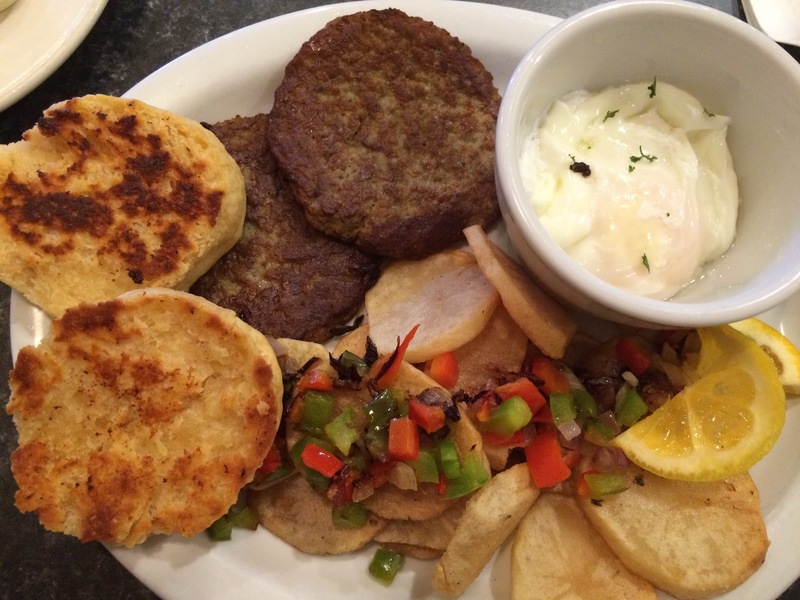 I ordered poached eggs with sausage patties, home fries and a biscuit. The biscuit was so good! We went to the outlets after to do some shopping. 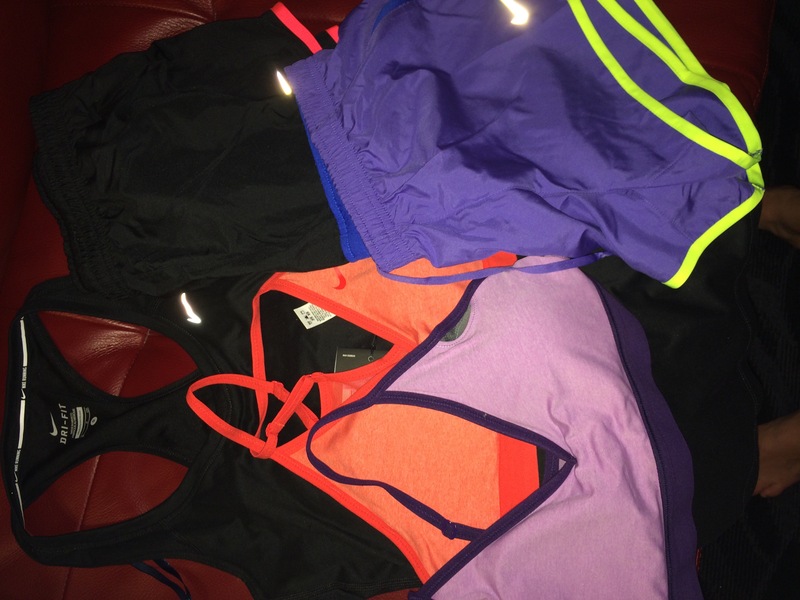 I got some workout clothes from the Nike store, much needed workout shirts, shorts, and really comfortable bras. 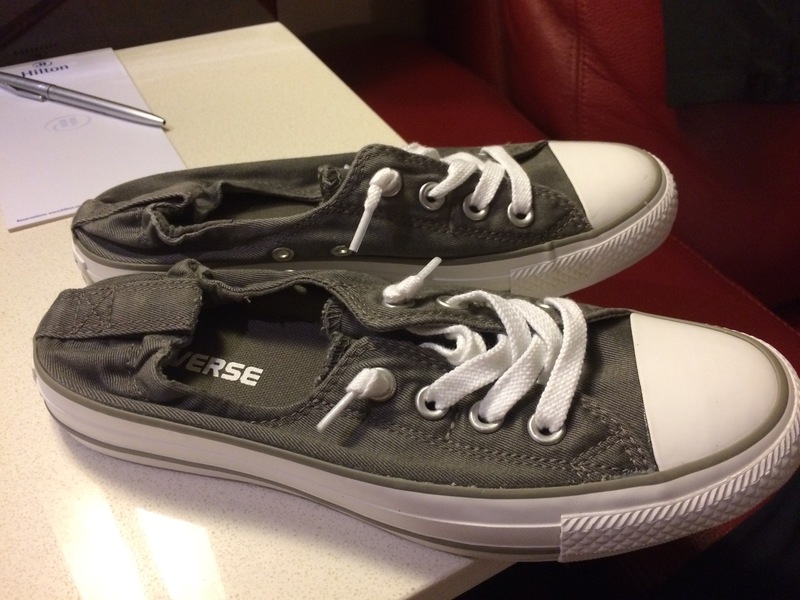 I also found the cutest converse I had to get. 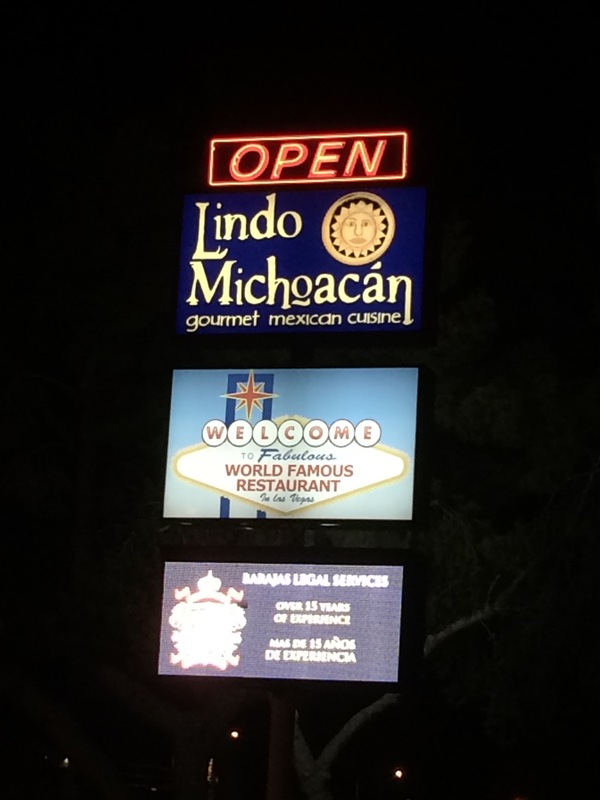 We went to one of our favorite Mexican restaurants for dinner, Lindo Mihouahcan. 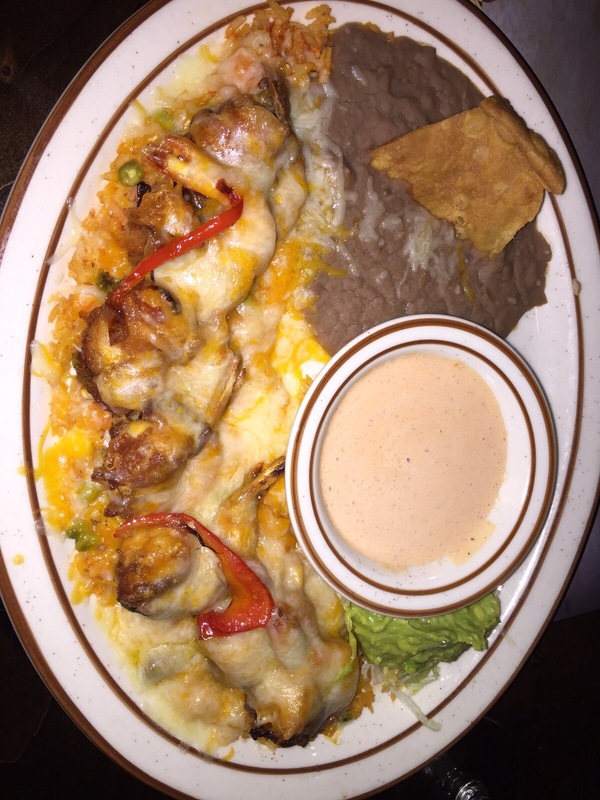 It’s very authentic Mexican food and so good! I ordered bacon wrapped shrimp and a margarita of course! We walked around the strip for a couple more hours after dinner. 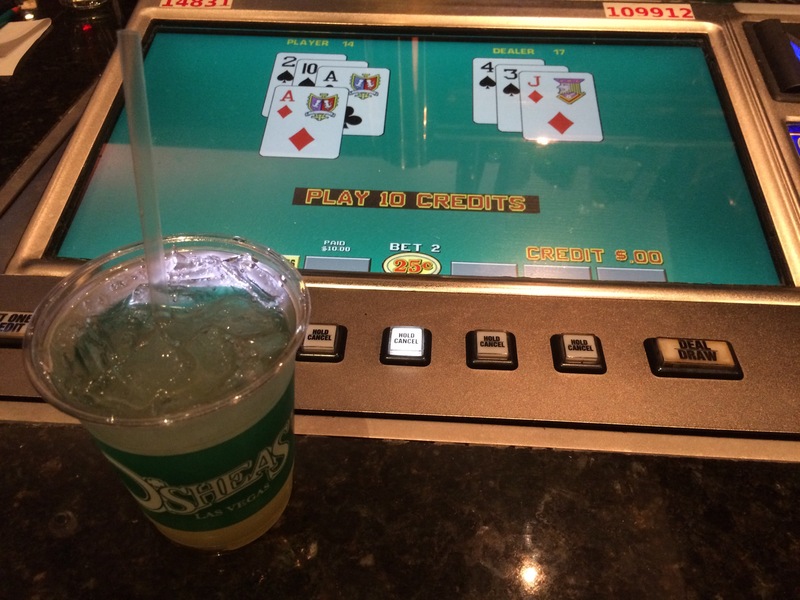 We stopped at O’Sheas for a quick drink, blueberry vodka and lemonade that was way too strong, and gamble. 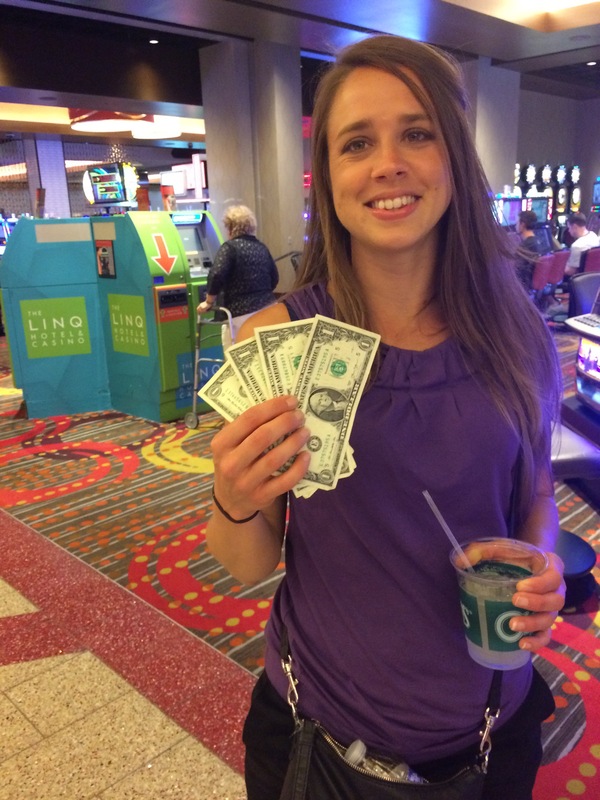 I played a dollar in the black jack machine and tripled my money! It’s after midnight now, early for Vegas but we’ve logged 21.5 thousand steps for the day and we’re pooped!